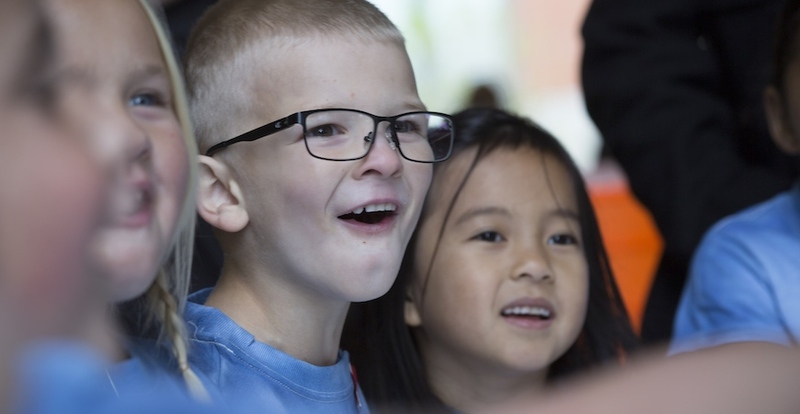 Merced for Kids aims to instill a sense of joy and wonder in the children who attend. A team of educators, policy makers and community members are working to bring a children’s museum to Merced. To celebrate the museum’s first pop-up exhibit, Merced For Kids, museum organizers are inviting members of the community to attend the exhibit’s family-friendly opening-night reception at 5:30 p.m. Friday, May 25, at the Merced Multicultural Arts Center (MAC), 645 W. Main St.
Merced for Kids was conceived by UC Merced Applied Mathematics Professor Mayya Tokman and County Supervisor Lee Lor, with help from UC Merced’s CalTeach program and First 5 Merced County. Those who can’t attend the opening-night festivities will have plenty of other opportunities to explore the exhibit. The Merced for Kids pop-up will be at the MAC from May 28 to June 9. Exhibit hours are 11 a.m. to 6 p.m. Tuesday to Friday and 10 a.m. to 2 p.m. Saturday and Sunday. Admission is free. Exhibits on display include an augmented-reality digital sandbox where children can learn about climate and topography; a toddler space that includes hands-on activities; a restaurant-cafe exhibit where children can play in a model kitchen while learning about healthy food choices; and other engaging play spaces. In addition to these exhibits, special events and themed activities are scheduled for each day of the week: Tuesdays are recycling days; Wednesdays are math days; Thursdays are art days; Fridays are science days; and Saturdays and Sundays are scavenger hunt and explorer days. For more information about Merced for Kids and other ways to get involved, please visit www.mercedforkids.org. You can also contact museum organizers directly at mercedforkids@gmail.com.